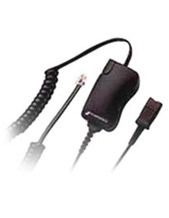 Plantronics Voyager 3200 UC BT Headset is a sleek and discreet office headset that can provide users access to communication line wherever and whenever they need to be. 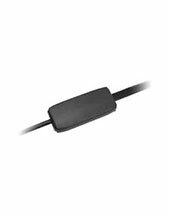 It can easily be connected to devices and can be connected easily through the adaptor with a simple plug in. It is also incredibly comfortable to wear, which is why it is great for users that would need to remain connected at all times without feeling restricted. 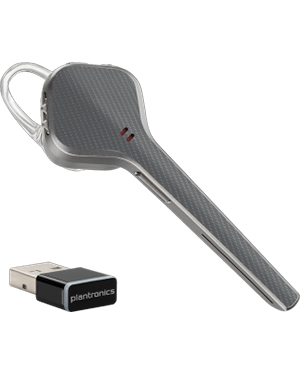 Plantronics Voyager 3200 UC BT Headset is an intuitive and responsive device that provides hands-free operation, giving users the freedom to move around wherever they are by remaining connected at all times. This headset has smart sensors that promote automatic call answer by simply wearing it. It also has an easy to access dedicated mute button, which can easily be turned on or off. In addition to this, the headset also has a dynamic mute alert that can serve as a warning signal if the user accidentally speaks while in mute. You can get to learn more about this innovative headset through Australia wide 1300 131 133! Plantronics, headquartered in Santa Cruz, California and established in the year 1961, is a consumer electronics company that offers the following high quality products and solutions that include Communications Headsets, Communications Endpoints & Accessories, Telephone Headsets Systems, Specialty Products for Hearing Impaired Users, Office & Contact Centres Headsets & Audio Solutions, Mobile Devices, Corded & Cordless Headsets, Gaming Headsets, Audio Processors, and Bluetooth Products & Solutions. With all of these incredible product offers and solutions, the company actually started out with one single goal. Plantronics started the trend of lightweight headsets, which it introduced in the year 1962. And the company has solidified the role of lightweight headset in the market in 1969 when Neil Armstrong became the first man to ever set foot on the moon. Armstrong used a Plantronics headset when he uttered the legendary line the time he put his foot on the moon. All of these factors started the company towards the path of excellence that it continued up to the present. 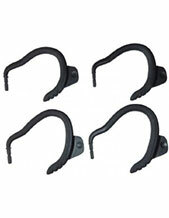 Headsetsonline operates in the market through its secured and enterprise-encrypted site, Headsetsonline.com.au. It carries all of the company’s products and solutions. The site makes sure that all customers and their transactions are protected at all cost. This is supported by GeoTrust True Business ID with Extended Validation, green URL HTTPS address bar.